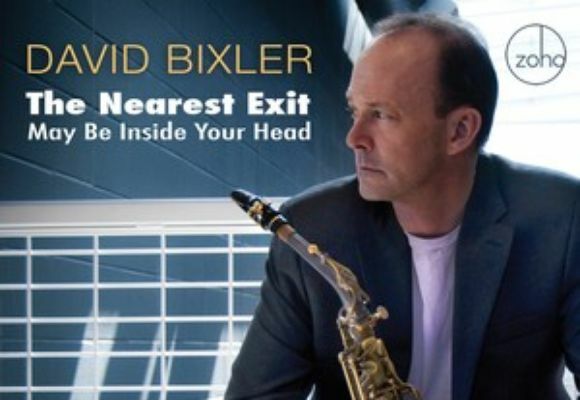 Saxophonist, composer, and educator David Bixler continues to establish himself as a multi-faceted artist. David has performed and toured the world with the orchestras of Chico O'Farrill, Lionel Hampton, Toshiko Akiyoshi, Jazz at Lincoln Center’s Afro Latin Jazz Orchestra, and Duke Ellington. His association with pianist Arturo O’Farrill has resulted in many performances and tours, in addition to several recordings, one of which, 40 Acres and a Mule, has been nominated for a GRAMMY award this year. David’s debut CD entitled Lost In Queens was released in May of 2000. In the fall of 2003, David released his second CD, Show Me The Justice, which received national airplay and critical praise for demonstrating David's creative abilities as composer as well as improviser. Call It A Good Deal, was released in July 2006 on the Zoho label and features all original compositions by David. The disc garnered critical acclaim and was an Honorable Mention selection in All About Jazz’s best of 2006. His latest CD, Auction Project, which features a mixture of jazz, Latin, and Irish music, was released in September 2010 and received 4 stars in Down Beat. A new recording, The Nearest Exit May Be Inside Your Head, will be released August 2012. In March of 2010 David gave the premier of his Concerto for Alto Saxophone and Orchestra, with the South Dakota Symphony Orchestra, under the direction of Delta David Gier. Heptagon, a composition for saxophone quartet is included on a Naxos release of American composers by the Ancia Quartet. David is an Assistant Professor of Jazz Studies at Bowling Green State University in Bowling Green, Ohio. As both a Selmer and Vandoren Artist he is active as a clinician throughout the world.